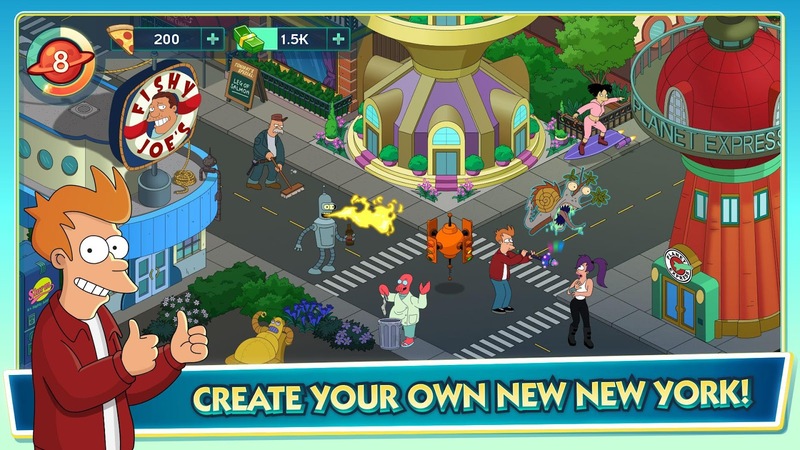 The Futurama: Worlds of Tomorrow reference written and maintained by the players. We are currently maintaining 7,051 pages (1,126 articles). The new Uptown District is unlocked! 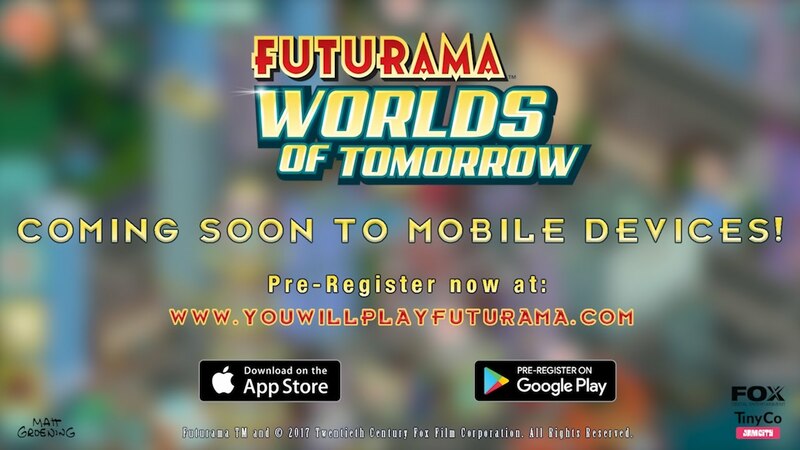 Futurama: Worlds of Tomorrow is a mobile game based on the series, Futurama. 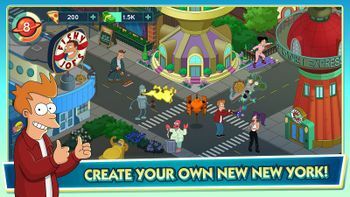 It is created and developed by Jam City and published by TinyCo, in collaboration with the support of the show's creators. 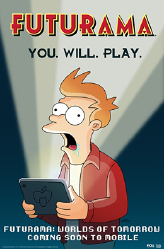 The game is available on iOS, Android, and Amazon’s Appstore. 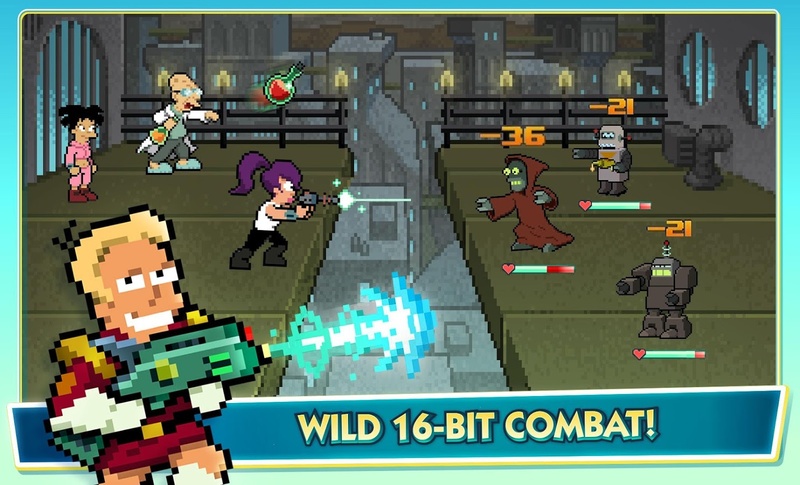 The game launched on June 28, 2017 for free, but includes micro-transactions. 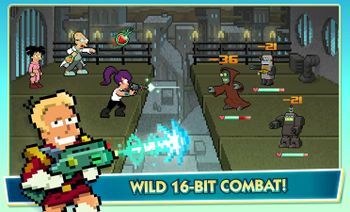 The game features a main storyline along with limited time events featuring unique collectible characters and adventures. We are currently maintaining 7,051 pages (1,126 articles)! 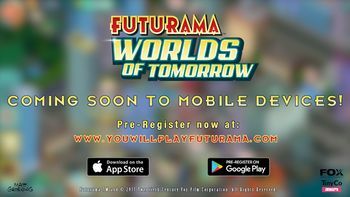 See how you can help contribute to Futurama: Worlds of Tomorrow Wiki! Remember to maintain a standard for grammar and punctuation in your contributions, please. This page was last edited on 12 July 2017, at 15:11.